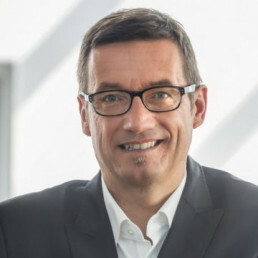 As managing partner at the FutureManagementGroup AG, Berthold Müssig manages future projects and is responsible for business development. His comprehensive know-how in ICT supports companies in the fields of information and communication. His special focus are the fields of ICT convergence and NBIC technologies. Before joining FMG, he held leadership positions in the ICT market. Berthold Müssig is an MBA with a degree from the International Management Program INSEAD, Fontainebleau. His long management career took him to France, where he held a position in world wide sales and marketing. "Helping management teams from global market leaders to position themselves in a motivating and future robust way, utilizing future management, is a delightful feeling." An expert on the future of information & communication, Berthold Müssig speaks on his field of expertise.